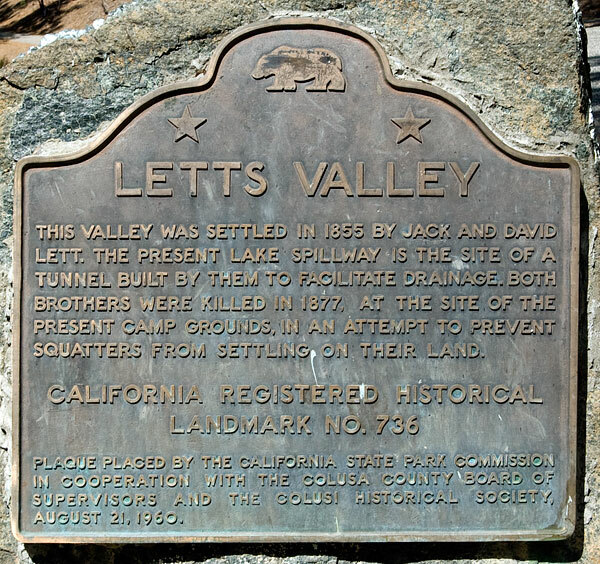 This valley was settled in 1855 by Jack and David Lett. The present lake spillway is the site of a tunnel that they built to facilitate drainage. Both brothers were killed in 1877, at the site of the present camp grounds, in an attempt to prevent squatters from settling on their land. Plaque placed by the California State Park Commission in cooperation with the Colusa County Board of Supervisors and the Colusa County Historical Society, August 21, 1960. 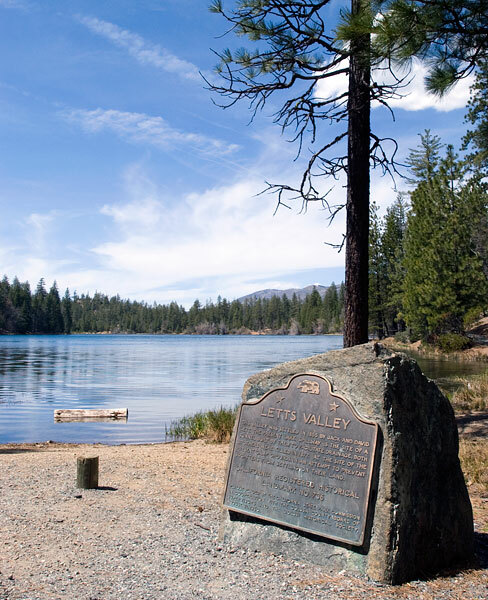 This is one of the remotest California Historical Landmarks we have visited and one of the most beautiful. So many historical sites in California are situated in places that have been sadly degraded by development and heedless commerce. To my eye, Letts Valley looks little changed since the brothers settled here in 1855.